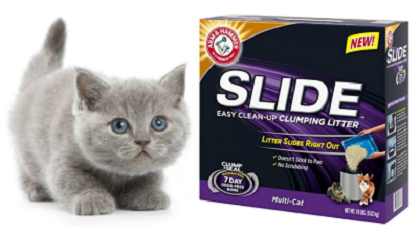 Try Arm & Hammer Slide Cat Litter for FREE with their mail-in rebate offer! Choose either the 14 lb. option (rebate up to $10.99) or the 19 lb. option (rebate up to $14.99)! Valid on purchases made thru 12/31/17. Submissions must be mailed and received by 01/31/18.